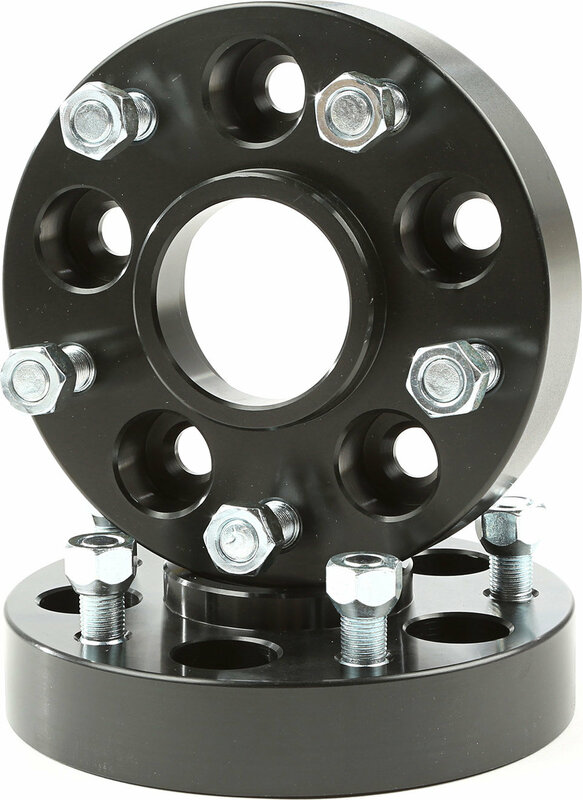 This pair of black 1.25 inch aluminum wheel adapters from Rugged Ridge let you install 5x5-inch wheels onto Jeeps with a 5x4.5-inch bolt pattern. 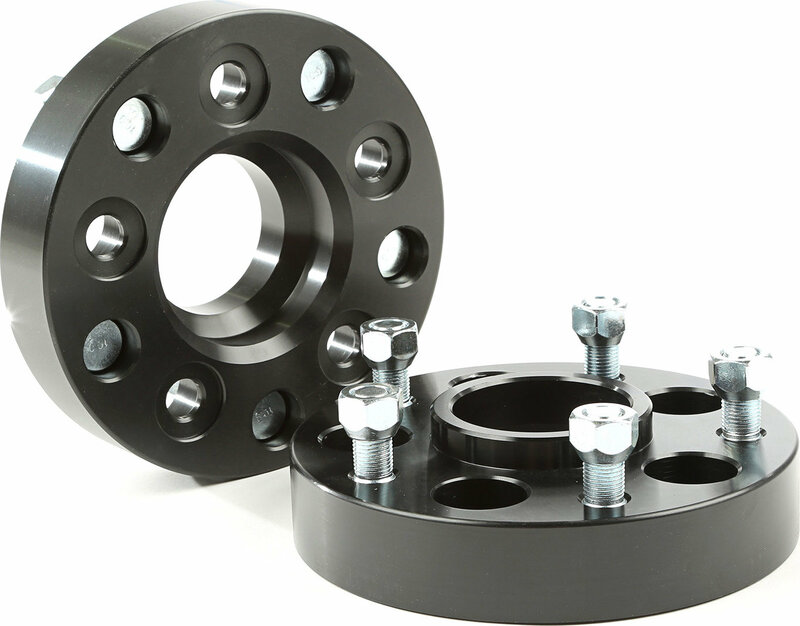 These hub centric adapters move your wheels out to help fit wider tires and give your Jeep a wider track and improved stability. Constructed of double anodized black extra thick 6061T6 aluminum for long life and extra corrosion resistance. All hardware is grade-8 for extra strength. No complaints, had them for a year.